Bring cheer and joy to your nearest and dearest with this beautiful Christmas ensemble. You’re not just sending a floral gift but the full local florist experience. 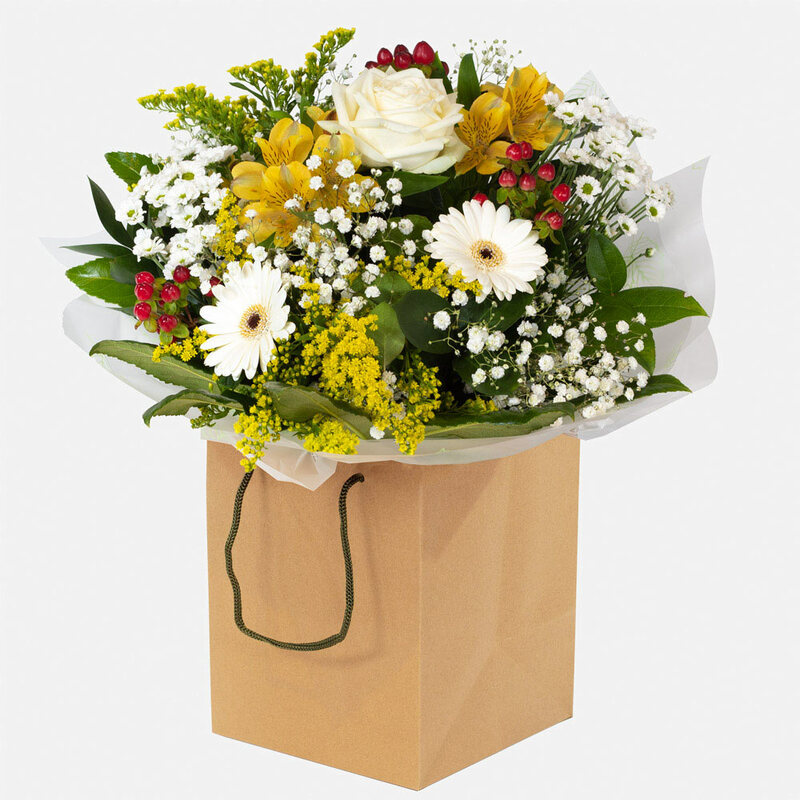 Amazing flowers and a surprise delivery guaranteed to put a smile on someone’s face. 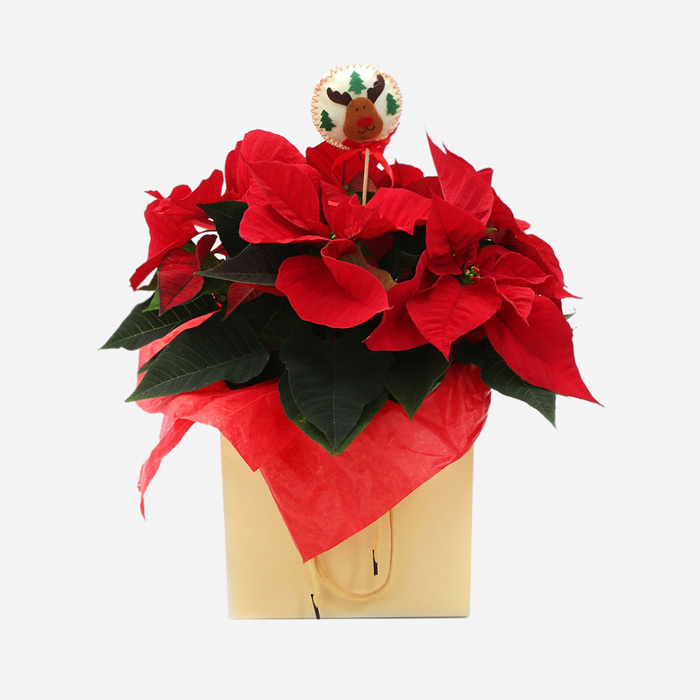 Grand and glorious for this Christmas season: ruby red flowers and bright whites with verdant greens. Holiday Splendour is a perfect reflection of traditional Christmas colours. Let this beautiful floral bouquet warm your house this holiday season. Give them a Christmas gift to remember. Nothing beats a surprise of a beautiful Christmas bouquet to brighten up your or a loved ones home during the Christmas season. 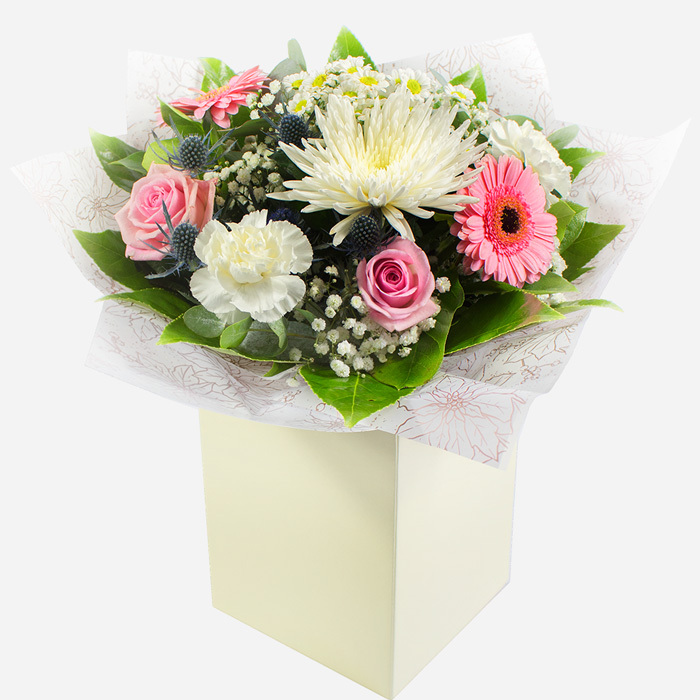 Direct2florist can help you find that stunning bouquet for the season that will leave family and guest speechless, Direct2florist works with a local florist in your recipient's area meaning that delivery ordered before 2pm can be sent out the same day! 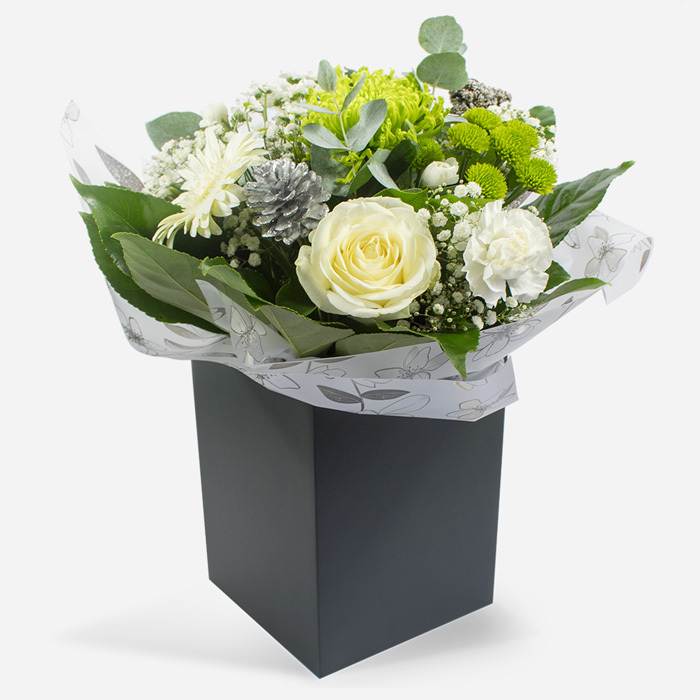 During this festive season, you can trust us with your seasonal bouquet to be delivered to the right address on the same day, we take pride in assuring that only the best local florist will be handling your seasonal order for the right price. Due to our large range in seasonal products, we're sure you'll find something that will suit your budget while looking stunning in your loved ones home, but if you choose a more creative way to express your admiration we'll be sure to help find you the perfect seasonal bouquet in any way we can. A timeless classic Christmas arrangement. Surprise your loved ones or treat yourself with the perfect centrepiece for Christmas dinner. 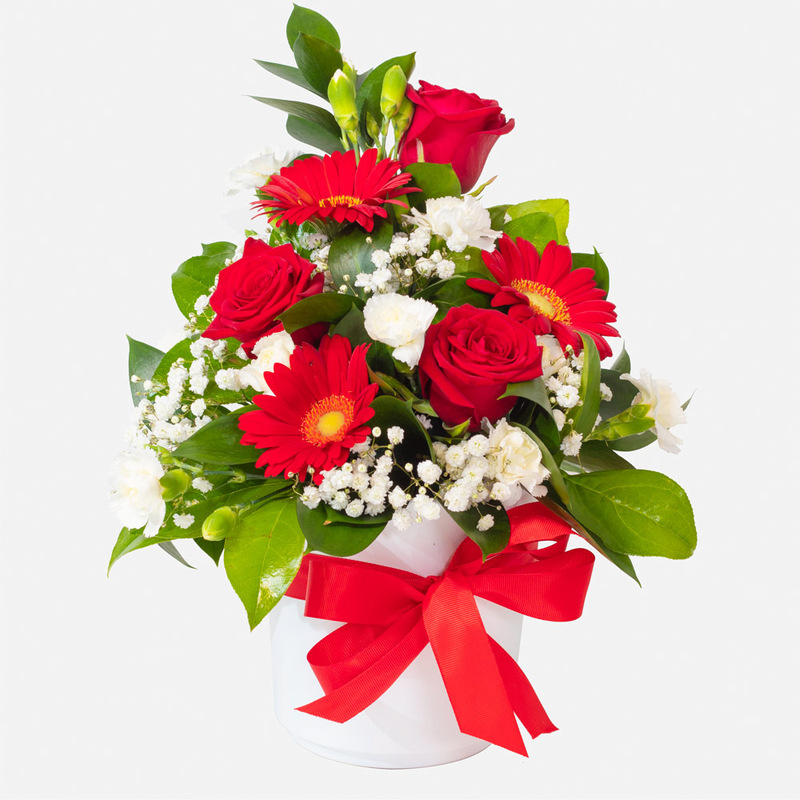 The florist will craft and hand deliver on a date of your choosing! Want to send something extra special this Christmas? Look no further! This winter wonder will leave its recipient with a lasting impression! You’re not just sending a floral gift but the full local florist experience. Warm up their holidays with this exquisite ensemble of festive flowers. Deliciously hand-crafted by a professional local florist, this enchanting hand-tied promises to be a recipe for success this Christmas. 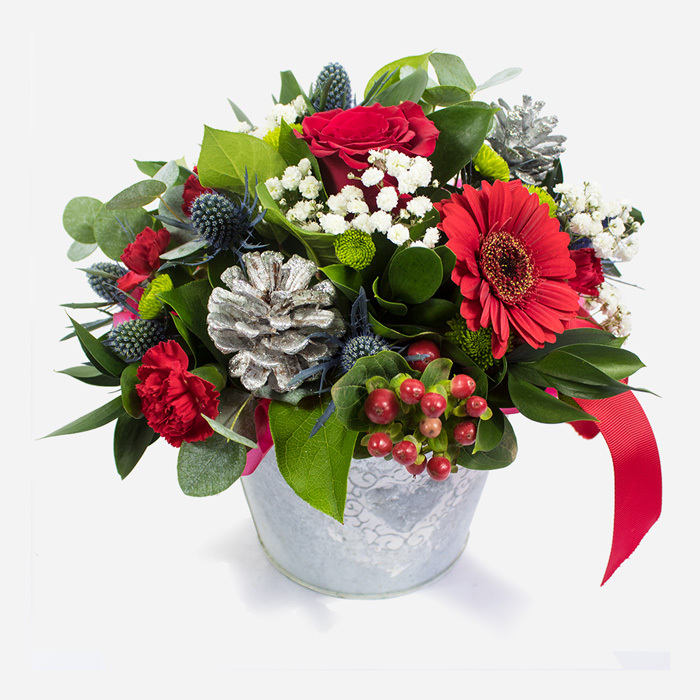 This years Midnight Star is a gorgeous festive arrangement in a vase or container. It shouts Christmas and why not? 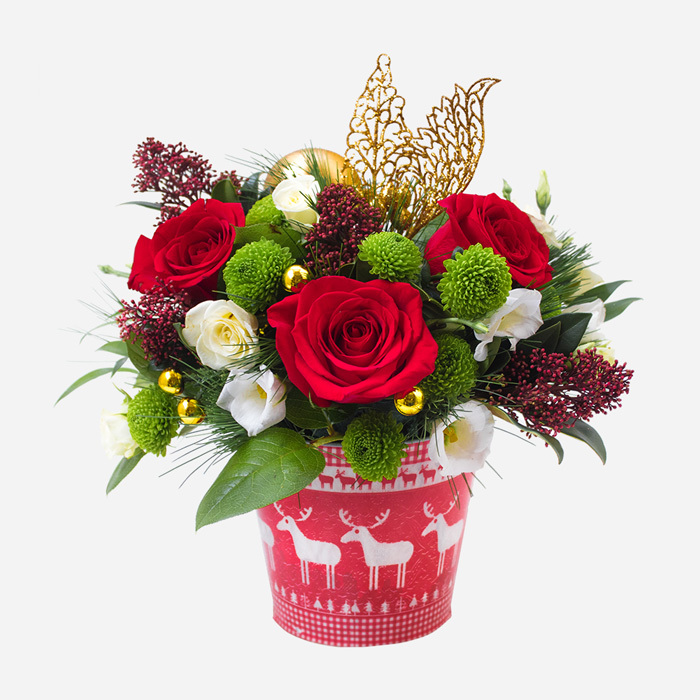 A lovely festive gift including red roses, green chrysanthemums & christmas picks. A wonderful christmas gift to send to family, friends, loved ones or colleagues this Christmas. Creatively crafted and delivered by a professional local florist - the arrangement will feature a florist choice selection of flowers. The classic festive plant synonymous with Christmas time. Available in red or white and can be delivered Christmas week to the address of your choice. The system we have in order to help you couldn't get more simple! 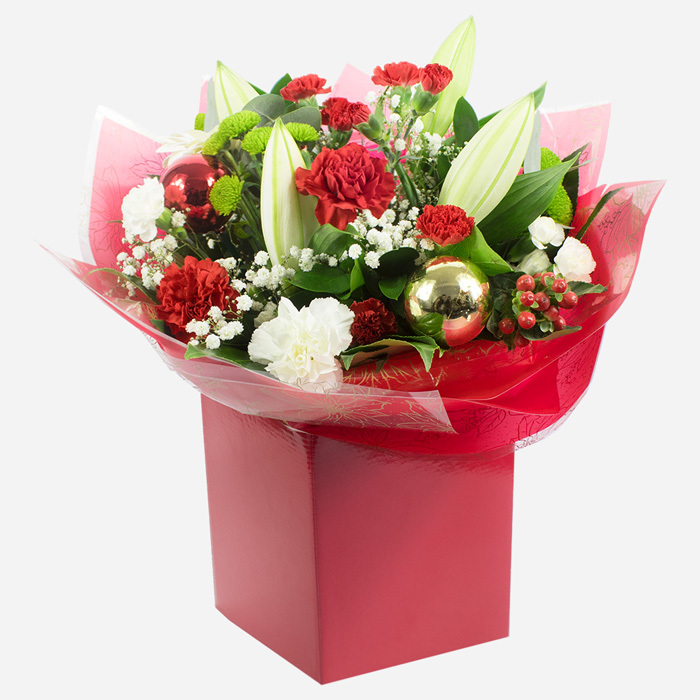 We've made finding a florist in your area easy, simply pop your postcode into the search bar and be amazed at the selection of experienced florist that pop up in your area, no matter the area our promise is that we will try our best to find a florist that will succeed in creating you a Christmas bouquet to fit the season! Not only will your flowers be local and fresh, but you'll be helping to support your local florist. 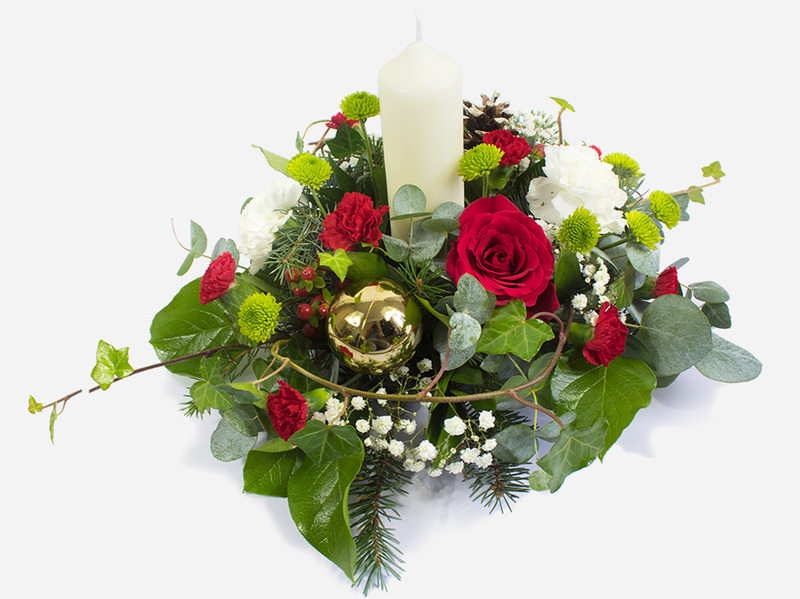 The florist we work with are experienced, hard-working and established who are dedicated to making you a stunning seasonal arrangement and have we mentioned the same day delivery before 2pm, we promise on our Christmas flower delivery service. You're only a few clicks away from finding that perfect seasonal arrangement... pick and click the festive flowers that you want to send NOW! 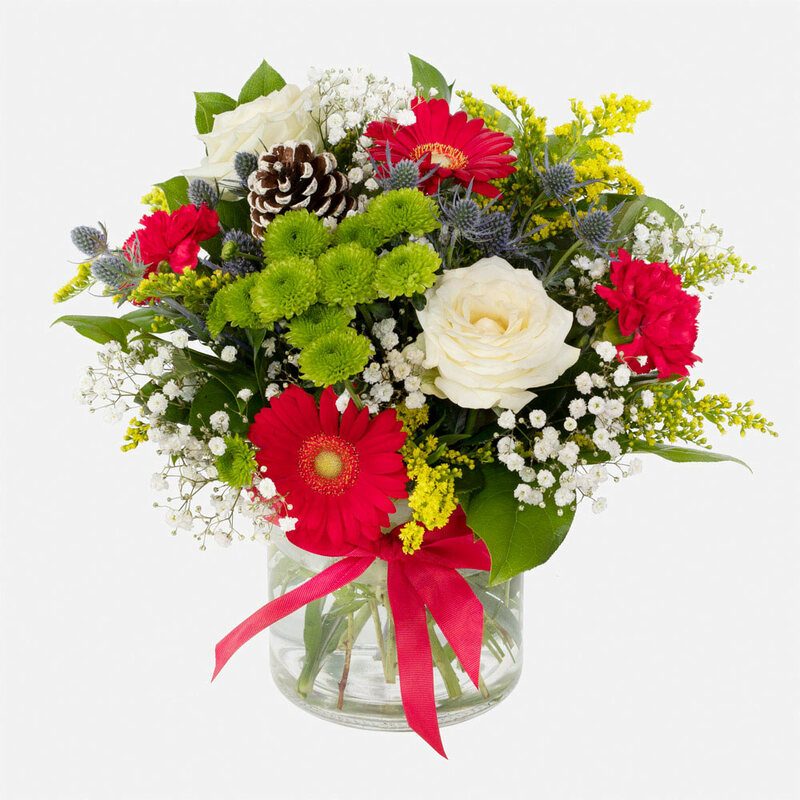 An elegantly presented vase of seasonal flowers in a fabulous festive colourway. A unique Christmas gift bag, professionally arranged and delivered by a local florist. 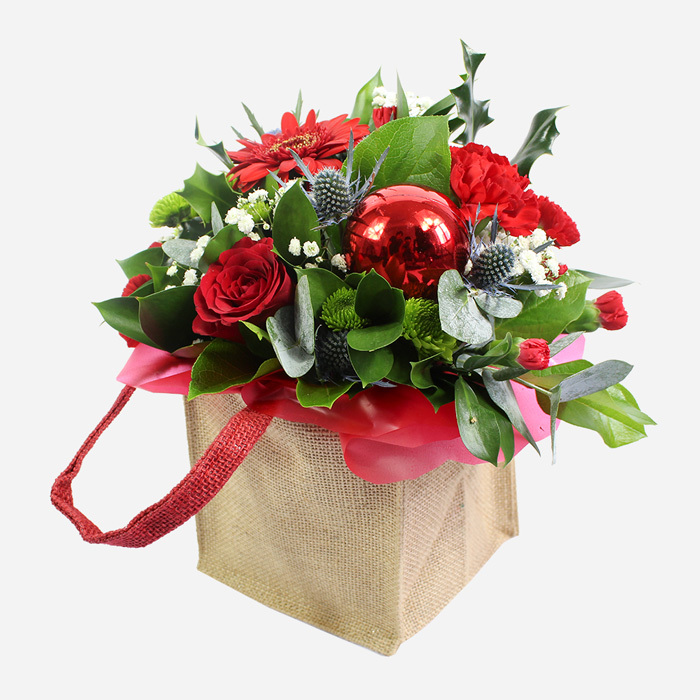 This beautiful baubled gift will include a festive range of florist fresh flowers. Including Santini, Holly, Eucalyptus Cinnerea and Ruskus.